Two or three times a week, authorities are called to investigate reports of suspicious people at Jacksonville International Airport. Calls about unattended luggage are nearly constant, they say. A 2013 incident at JIA was real enough. A man walked up to a TSA agent and said, “I got a bomb here.” Before it could be determined that he didn’t, hundreds of people had been evacuated and two-dozen flights canceled or rerouted. Grossman, who oversees the entire Jacksonville airport system, said his staff continually participates in training exercises and communicates with other security agencies. The goal is to discourage JIA from being targeted in the first place. “We basically try and harden the target, so to speak, and make it so that a terrorist will think twice before attacking us,” he said. “Putting it bluntly, if a terrorist comes to the airport, he or she will probably carry out some terrorist activity,” Grossman said. “Our force will stop a person like that, but probably not before they’ve done something. 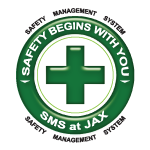 Jacksonville International was one of the first airports of its size to have an active shooter drill, Grossman said. The exercise held about 18 months ago involved 400 employees and volunteers, both within and outside the airport. Everyone had a chance to interact and see how things would play out in an actual emergency. The drill was designed to prepare officials for the type of lone-gunman attack that has been seen in isolated incidents at major U.S. airports in recent years. At Fort Lauderdale-Hollywood International Airport on Jan. 6, a man opened fire in a baggage claim area. Five people were killed and more than 30 were injured. On Nov. 1, 2013, a man moved through a terminal at LAX for 10 minutes with an assault rifle. He shot a TSA officer several times, killing him, before injuring three others. Grossman said all airport employees go through annual security training, consisting of an hour-long class, a background check and drills. There’s an on-site police force that works closely with the Jacksonville Sheriff’s Office and other agencies for support and services it doesn’t have. 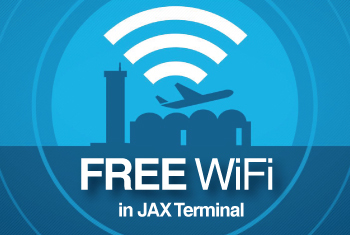 Aviation-security expert and professor at Metropolitan State University of Denver Jeffrey Price said it’s typical of smaller commercial airports like Jacksonville to rely on outside agencies for support. According to Price, airports in major cities are more likely to be targeted by terrorists. Part of preparing to respond to all types of situations is examining what went wrong when an attack does happen at an airport. “It’s always better to learn from other people’s mistakes than our own,” Grossman said. Agencies share information about security measures and what works best. When incidents like those in Fort Lauderdale and at LAX do happen, there are discussions to see what lessons can be learned. “We have to react to the latest threat that we didn’t anticipate or didn’t do enough about, but we always have to predict the next time,” Price said. Continuous training and examining how to prevent attacks is only part of the safety system airports have in place – the help of the traveling public makes up a large component.